New York takes an aggressive approach to cracking down on weapons. 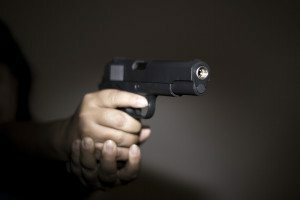 If you’ve been charged with weapons possession or illegal gun sales in New York City, you need an experienced criminal defense attorney on your side. 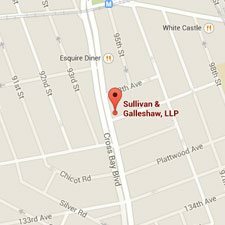 The attorneys of Sullivan & Galleshaw have over 30 years of experience handling a wide array of weapons charges, and are ready to tackle even the most complex and serious of allegations. 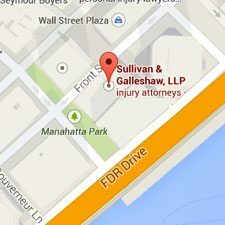 We serve all boroughs and the surrounding metro area, and offer free consultations for new clients. To set up a free, confidential case evaluation, call our law offices right away at (800) 730-0135. Which Weapons Are Illegal in New York? It’s a common misconception that “weapons crimes” automatically refers to guns. In reality, New York recognizes many different weapons as being dangerous, deadly, and downright illegal – some of which may surprise you. Believe it or not, in some cases even common pocket knives and utility knives have led to people being arrested in New York. It is always wise to consult with an experienced criminal defense attorney who will be able to protect your legal rights and advocate on your behalf in the courtroom. It’s important for defendants to understand that all firearm sales charges are graded as felonies, the most serious class of crime. There is no such thing as a misdemeanor gun sale under New York’s current laws. The defendant sells either a gun or a belt, magazine, or other ammunition-feeding device that can hold more than 10 rounds. The defendant owns a gun and intends to sell it. The defendant sells five or more guns to the same person at once. The defendant sells five or more guns – not necessarily to the same person – over the course of one year or less. Charged when a defendant, who was over 18 years old at the time of the alleged crime, helps somebody younger than 16 years old sell a gun. Charged when a defendant sells a gun to somebody known or appearing to be younger than 19 years old. The buyer must also not have been licensed to own the gun(s) in question. On a final note, no money need ever change hands for a suspect to be arrested. You can also be charged if you exchange guns, give a gun away for free, or otherwise dispose of a gun to another person or group of people. There’s a very important distinction between sales and possession offenses: while criminal sale excludes guns, criminal possession does not. Most criminal possession offenses are felonies. The degree you are charged with depends on factors such as whether you are a citizen of the United States, the type and quantity of weapons involved, and whether the gun was loaded. Includes all types of firearms. Even if you are in perfectly lawful, licensed possession, you can still be charged with this offense if you deliberately fail to register the gun. “School grounds” refers to buildings, buses, playgrounds, playing fields, and any accessible property within 1,000 feet of the school’s property lines. The term applies to elementary schools through college. Charged when a defendant commits second degree weapons possession and either (1) a violent felony, such as robbery or assault, or (2) felony drug trafficking. 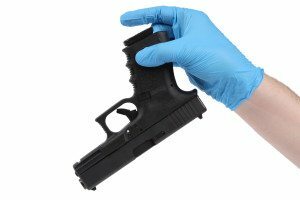 Both felony and misdemeanor convictions will also result in the creation of a criminal record, which will be visible to any person or company which decides to run a background check. Unfortunately, this can create serious obstacles to getting hired for a job, approved for a loan, or being allowed to rent or buy property. If you or someone you love was arrested for sales or possession of a firearm or other weapon, the time to act is now. 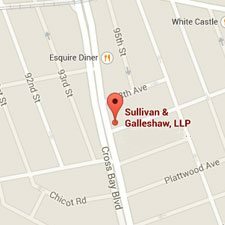 Call the New York weapons charges lawyers of Sullivan & Galleshaw at (800) 730-0135 to schedule a free and private legal consultation.